It goes on to give tips on what to do when if you spot a Sasquatch. 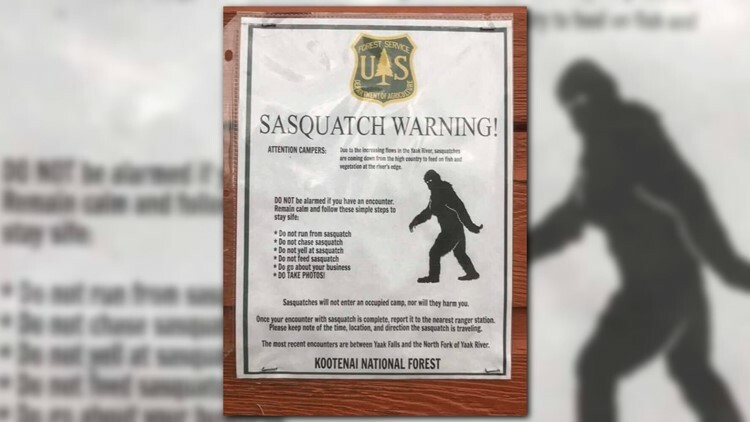 SPOKANE, Wash. – There is a flyer going around Facebook claiming there have been sightings of the Sasquatch in the Kootenai National Forest. The flyer also has a U.S. Forest Service symbol on it. On Facebook, U.S. Forest Service – Kootenai National Forest made a post saying that the poster is fake and did not come from them. That shouldn't stop Sasquatch believers from continuing their search!